felixfelicis wrote: Thrilled for these, especially Luna. Wish they'd make a Pop version of her in that outfit too. I'm such a sucker for anything Harry Potter. Wow I love the Luna one she was one of my favorite characters from the series. It looks like they are starting to hit retailers. Hot Topic has Bellatrix online and there is a flash sale of 30% off today! Hopefully the others will show up when the next flash sale hits! I pre-ordered my Luna from GameStop, but I'm going to hit-up Hot Topic tomorrow and see if they have any of the other characters in stock to check out. hawklovespurple wrote: I pre-ordered my Luna from GameStop, but I'm going to hit-up Hot Topic tomorrow and see if they have any of the other characters in stock to check out. I ended up the mall tonight so I stopped in to see if they had any in store. Hot Topic had Bellatrix and Harry Potter. I grabbed Harry and luckily enough I had a $5 reward so it only was $10! I cannot wait to see the others in person as Bellatrix is well done and Hary actually turned out pretty good as well. For those looking, both Hermione and Ron are now on Hot Topic's website. They are running a 25% off sale. Now I just need Luna to show up so I can complete my set! Not only did our HT have none of the HP RCs, they has a sign about the 3 for $30 Pops secured directly in front of the few they had, which were surrounded by a wall of Pips on both sides. Um, HT, if you want to actually sell your product, blocking it is a pretty stupid MO. Luna has finally arrived online! The luna is awesome, she stands out so much! It seems like the LA/OC CA area Hot Topics have gotten all the HP ones in. The Luna is by far my favorite, looks even better in person. 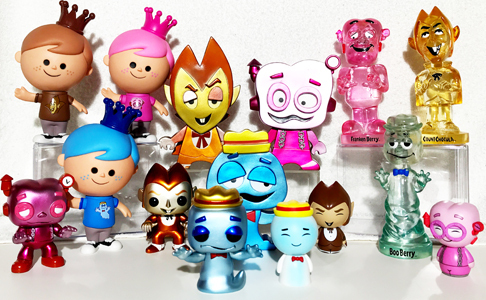 I'm hoping the Luna Rock Candy means we'll get her in other forms soon as well (mainly Mystery Minis and Dorbz, and maybe Pint Size when they do that line). Avengers74 wrote: Luna has finally arrived online! Excellent! And 30% off online today only!! I wonder if the other female Hogwarts professors will get the Rock Candy treatment? A part of me wants to see Snape. Mister Piggy Wiggy wrote: I wonder if the other female Hogwarts professors will get the Rock Candy treatment? A part of me wants to see Snape. I'm sure they'll come into production. pinklaquer wrote: I'm sure they'll come into production. I sure hope so! Hopefully, they won't be exclusives. I wouldn't be surprised if they did one as an exclusive. If they did, I'd probably shout out in rage. When I'm alone. When there is a will there is a way. Rock Candy exclusives wouldn't be too hard to get. It's the joy of making good friendships in the collecting community that could really help in "dire times"
Plus if you are really lucky the art of trading could come into play! I haven't picked up the harry potter ones yet... I plan on waiting till after SDCC myself. Are you based in the States? pinklaquer wrote: When there is a will there is a way. Rock Candy exclusives wouldn't be too hard to get. Indeed! That is true. I'm working with a close friend of mine to collect Funko products. I've seen some of the Harry Potter Rock Candies at GameStop and Toys R Us. But my gut tells me they could be on clearance before I know it. Yes, I live in the U.S. I'm hoping the Luna with her lion headdress looks awesome! I'm excited for this one. For some reason, I wanna see Harry's Aunt make her Rock Candy debut. And Ron's Mom, too. NYCC Luna is stunning. She also looks huge compared to my other Luna though. Loving this line and hoping for my HP RCs....just not Con exclusive ones please! felixfelicis wrote: NYCC Luna is stunning. She also looks huge compared to my other Luna though. Loving this line and hoping for my HP RCs....just not Con exclusive ones please! Yeah, but I stayed up all night for nothing since they did not put their items online until like 6:40 AM, and did manage to snag my Grindelwald before the B&N site went haywire. For some reason, I wanna see Harry's Aunt make her debut. Absolutely love this Luna! I finally was able to pick mine up yesterday. The detail is just fantastic--congrats!! These are on big time clearance at GameStop. Maybe he'll look like the life size one at Funko HQ. Ron in Quidditch uniform will look pretty funny. I always found his dinky helmet hilarious for some reason. repair-manmanmanman wrote: Ron in Quidditch uniform will look pretty funny. I always found his dinky helmet hilarious for some reason. Aw, he was the hero that day. 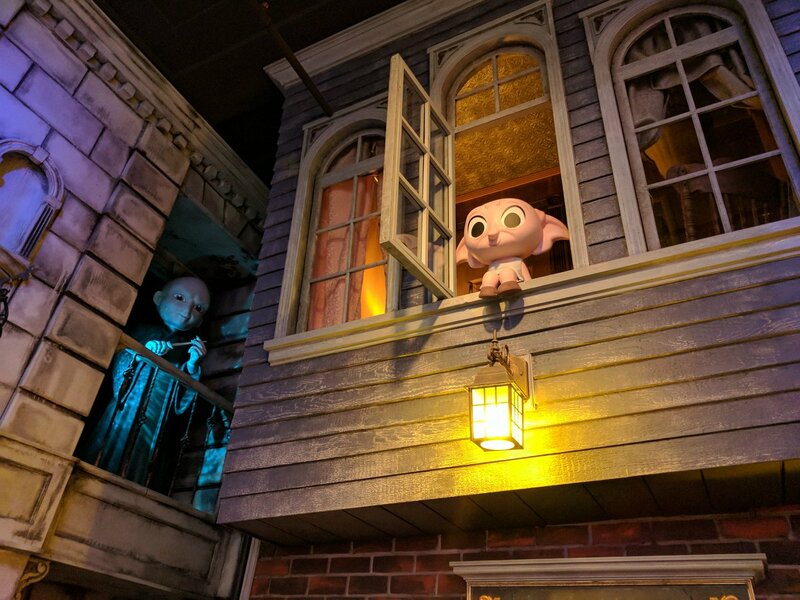 Here's a pic of the life size Voldemort inside Funko HQ. You can kinda see the Dumbledore one in this pic. Strange that they're only doing dudes this wave. These are some great additions to this line. Dumbledore and Quidditch Ron are the two I am most looking forward too. Voldemort as well. I am glad they are mixing the line with guys and not just girls. I do agree Ginny needs to be added to the line.